College authorities say the incident was reported after Praneeth was caught by an invigilator for allegedly cheating during his exam. Praneeth Eguri from Indian Institute of Space Science and Technology was found hanging from his fan. 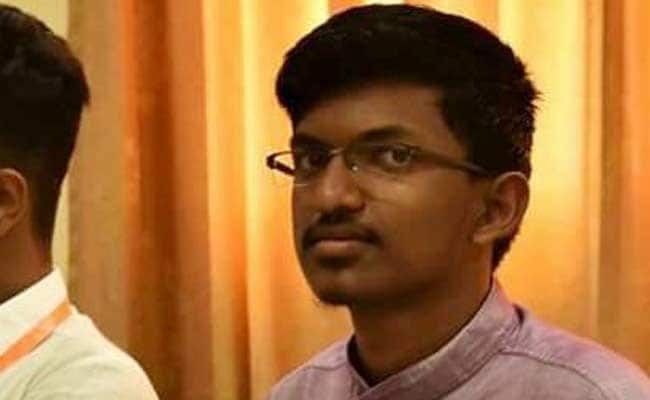 Thiruvananthapuram: A third year aerospace engineering student from Telangana was found hanging in his hostel room at the Indian Institute of Space Science and Technology in Kerala's capital Thiruvananthapuram, just hours after he was allegedly caught cheating in his examination on Friday. The student, Praneeth Eguri, was found hanging from the fan in his room around 3 pm. College authorities say the incident was reported after Praneeth was caught by an invigilator for allegedly cheating during his exam. Reports suggest Praneeth was caught using his mobile phone during the examination. Praneeth's friends, who prefer anonymity, have alleged that he was harassed and threatened after being allegedly caught cheating. College authorities said a police probe is underway. "I am not aware of any pressure exerted on him. The police investigation is underway and we have given them all details and documents. It's a very unfortunate situation and we all have been very disturbed with all that has happened," Dr Vinaykumar Dadhwal, Director, Indian Institute of Space Science and Technology, told NDTV. Police has registered a case of suicide. According to sources, there was no doctor available on campus at that time and the student was rushed to a nearby hospital, where he was declared brought dead.